Originally from the mining community of Wallace, Idaho, chef Troy Fausett is looking to hit the mother lode in Coeur d'Alene with a restaurant that takes its name from this city on the lake. Tucked into the trees within walking distance of the Kootenai Medical Center campus, the Coeur d'Alenes caters to the lunch crowd with scratch-made meals, select organic ingredients, and bread products from nearby Pilgrim's Bakehouse. The menu at the Coeur d'Alenes sparkles with sandwiches and soup and salad offerings, as well as a range of entrées and desserts. Try classic sandwiches like the Kobe burger ($8.25), chicken cordon bleu ($9.75) or French dip with Havarti cheese ($8.95). The BLT, featuring house-smoked bacon, gets a gourmet upgrade with caramelized onions and jalapeño cheddar bread. Entrées run the gamut, from empanadas with New Mexico pork chile verde ($9.25) to potstickers with Thai dipping sauce ($9.50) to quiche with Havarti, Swiss, white cheddar and asiago cheeses and spinach, mushrooms, roasted peppers and a housemade crust ($9.50). 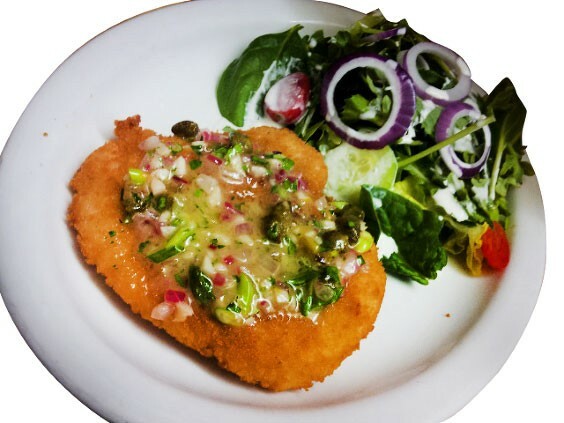 All entrées, like chicken piccata ($9), include organic salad with choice of scratch-made dressings. The Coeur d'Alenes features local beer — from Wallace Brewing and Spokane's No-Li Brewhouse — as well as a smattering of reds and whites. Nona's Ultimate Carrot Cake is from Fausett's grandmother, while the seasonal fruit galette is a nod to Fausett's training at Portland's Le Cordon Bleu College of Culinary Arts.